In the summer, I can find it after a couple of weeks. The kids and I "naturally" fall into it after we get used to not getting up for school. But summer is so...temporary. Nearly eight weeks ago, we started a new school year, and I have limped along, trying to find my rhythm again. I have a long list of first world problems nipping at my heals, and the hits keep coming, but I most need rhythm. I watch other families in their natural environments. I see the way they bounce around the kitchen. I inhale the scent of waffles. I watch the grace as husband and wife navigate the kitchen. My husband tells me I'm imagining things, that a wife rolled her eyes at the husband, that the kids were underfoot. Maybe he has a point. Maybe I see something I want to see. Maybe none of us have rhythm. I can barely spell rhythm. 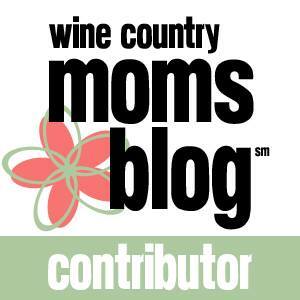 I have the privilege of writing for Sonoma County Moms Blog. My first post, about surviving HARVEST went live this past week. I wrote about trying to find peace with the evenings and days that I have the kids alone while my husband works. He could write a different post, if he were a writer, about the annoyance of missing out on so many of the fun fall milestones. But he's not, and I am...and I struggle to find rhythm. Seeking rhythm, I sat with myself for a while. I first thought, "Something has to give," followed quickly by, "I can't do everything." Both thoughts ring painfully true. I didn't do anything about those thoughts, and, sure enough, I showed up for an information night at Ari's potential-maybe-we-have-no-idea-what-we-are-doing kindergarten...on the wrong night. I had the wrong night in the calendar - my attempts at being on top of ALL THE THINGS failed. Today, I took some. I refused to rush. I got up, fed the kids (and sort of fed myself), did chores, and headed to the pumpkin patch. The sun beat down on us, because why should we feel nice and cool in October? Nah, that would feel too easy. 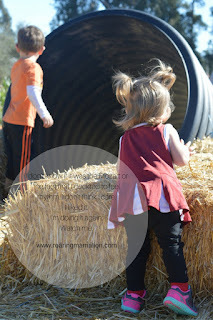 But the kids ran and played with friends - ones we'd planned to meet and ones who simply happened to be there. We came home and I told our Amazon Echo to play some Mozart. Then, my kids, like, colored at the table and ate lunch while I prepped dinners for the next couple of nights and folded laundry and kissed them on their perfect little heads. I don't know if it was the Mozart or the fact that I decided to feel rhythm. I don't think I care. I liked it. I'm doing it again. Watch me.